If you are over 40 and considering IVF treatments, there may be a chance our reproductive endocrinologist (RE) will recommend you use an egg donor with your IVF cycle. To determine whether you need a donor egg, our RE will order a few tests, to measure your so called ovarian reserve. These tests are Antral Follicle Count (ultrasound test), Day 3 FSH test, and AMH level test. Although these tests are not perfect, they will tell a great deal whether you have eggs and shed some light on whether your eggs are in good condition and can be used with your IVF treatments. Do fertility clinics offer IVF treatments to women over 50? I am over 50, but otherwise in good health. Do fertility clinics offer IVF treatments to women over 50? Yes, our clinics do offer treatments for older women. One of our clinics recently had a successful IVF performed on a woman over 55. 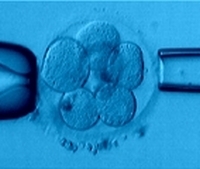 Those are rare cases and the clinic will make a determination whether the patient is suited for an IVF cycle and child bearing. All cases are decided on case by cases basis. Moreover, the patient must be in good health. 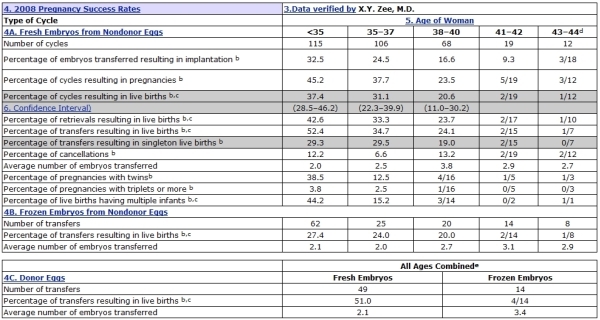 For various reasons, typically, women older than 50 must have a donor egg.